You can find a couple of ringtones of the new cd for your mobile on the Download page. Watch for Gadgets. 1-12-2007 A compilation of a few songs is free for download. The cover of the de cd is to be revealed. Thank you, Tom van Wanrooy. Click on the picture for the real one. The cd is being mastered now and will be presented to recordcompany's. Soon some soundbytes will be launched on this website. 10-9-2007 The gig in the Peppel at Zest is canceled. 5-9-2007 More nice pictures of the gig in Hoogvliet on the website of Inge van Donk. At the moment 3 songs has been mixed and the rest will be planned in septembre. 2-5-2007 Gert and ???? are playing flashing solo's for the new upcoming cd....but who are these guys? 1-5-2007 Today the gig in Bar Americain at Middelburde is confirmed and planned for the 10th of June. Also the gig on 5 october in the Peppel at Zeist and 1th septembre on the festival of The Note at Hoogvliet are confirmed. More info: see gigs. 5-2-2007 Gert and Martin played their guitarparts in the Excess studio for the new cd. Some pictures of the second week. 23-12-2006 Ernst started together with Edwin in the Excess studio for the new cd. Some pictures of the first rehearsels. 25-10-2006 The support act After the silence was canceled, so the band Ozzmosis replaced them. Thanks to Thierry and Jos. Despite the bad weather we had a lot of visitors. For the Pictures of the gig. Photography: Patricia Verploegh (thanx). 16-10-2006 More pictures of the gig in Loose End by Diana Meijs . It was a pity the lead vocalist of After the silence had big problems with her voice. Therefor the support act was canceled. We'll hope Ingrid voiceproblems will be over soon and hope the band will be able to support us next saterday. If you want to see the pictures of the gig. 2-8-2006 Today this gig is confirmed: 21 october at Musicon in The Hague with support act After de Silence. 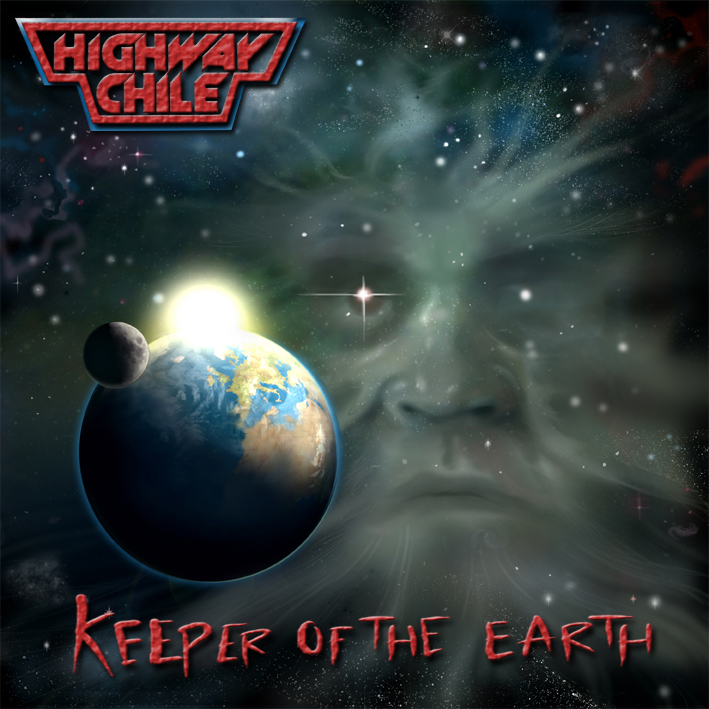 Highway Chile is busy because one week before this gig (14-10) we will play at Loose End in Reeuwijk. In november the band is going to record a new cd at the Excess studio. 22-5-2006 More picturesd of the gig in De Baroeg by Diana Meijs and Alexander Corbijn. Yesterday the gig in the Baroeg was very good. Lots of old friends came to visit us. The merchandise girls sold well. Sjoerd bought our whole whisky storage (thanks man). We'll have to distill again ;-) For the Pictures of the gig. 24-3-2006 Today the gig in de Baroeg at Rotterdam is confirmed and planned for the 12th of May. 16-3-2006 The band is going to play on the 14th oktober in Loose Ends at Reeuwijk. 4-1-2006 Again more Pictures of the gig in Nieuw Vossemeer from de Pietjes. 21-12-2005 More Pictures of the gig in Nieuw Vossemeer from Diana Meijs. 13-12-2005 A new screensaver of Headbangers. 25-11-2005 The song Run Away of the demo 2004 can be downloaded. 27-10-2005 From this date the site has this Newspage. 26-10-2005 New pictures of the gig in Total Music in Schiedam are published on the site. Also a movie of the special guest.